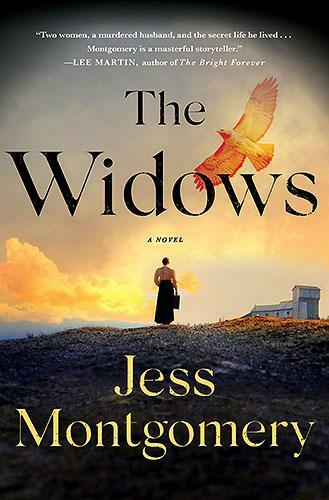 This is the debut novel by an author who goes by the name Jess Montgomery. If you read the book you might think, gosh, this is quite the polished work by a first-time author. Well, I'll let you in on a secret; this is the first novel by the writer known as Jess Montgomery but that is actually the new pen name for an author who has published a number of previous books. This story is set in southern Ohio during the mid-1920's. If you listen to the interview you'll learn the details of how a true story about the first female sheriff in Ohio history provided the kernel for the work of imagination that was ultimately created. It is an historical murder mystery that reads like a thriller. This is a story about the growing friendship between two women. Both of them are widows. One of them is the widow of the former sheriff of the county. He had been murdered under strange circumstances. His widow was then appointed sheriff with the obvious intention of letting her become a placeholder of sorts until they could hold an election and fill that post again with another man. But this woman is no placeholder. She begins to investigate the murder of her husband and discovers that he was a man with many secrets. One of his secrets relates to his previous relationship with another woman, the other widow, and this leads to the growing friendship between the two widows of the book's title. It takes place in a coal mining community. Life for the men who labored in the mines and their families was very difficult. The mine owners were brutally suppressing dissent by employing hired thugs to quash any unrest or attempts to unionize the miners. This setting provides the backdrop for a tale that depicts the cruelty of life in those mining towns of a century ago. Listen to the interview to discover the identity of the author who is writing this new series as Jess Montgomery and her reasons for doing so under that new pen name. Jon Hassler was considered to be the dean of Minnesota writers. He wrote stories about life in small towns in Minnesota and a number of novels that lampooned academia. It was a subject he knew well, he had been a college professor for many decades in small towns in Minnesota. His novel "The Dean's List" was a sequel to his popular book "Rookery Blues" and it was yet another farcical send-up of academic life. Professor Hassler came out to see us that day in Yellow Springs. When I listened back to this interview after all of these years I recalled that he had offered some reading suggestions. One of them was for "The Collected Short Stories" of the Irish writer William Trevor. 22 years after Jon Hassler gave me that reading suggestion I finally followed up on it and obtained a copy. I'm reading it now. He was right, Trevor's stories are superb and they remind me a little bit of Hassler's fiction. I can see now why he liked them. Jon Hassler died in 2008. Louise Penny had been an author on my bucket list for years. Last year I finally was able to book her as a guest on the program for her novel "Glass Houses." You can listen to that interview in our archive of podcasts here. She was absolutely wonderful to interview. I was charmed. On the Sunday morning that interview aired her book debuted at #1 on the New York Times fiction list.